When it comes to looking smart, you just can’t ignore the fashion trends surrounding you. Today’s blog is dedicated to the young fashion conscious crowd as today we’ll talk FASHION. NO, we are not discussing the fashion or the current trends. Let’s leave that to the pros. Now, what’s the first thing that comes to your mind when I say FASHION? The answer would most probably be BRANDS and LABELS. Believe it or not, but 90% of the time I hear people mispronouncing these brand names but that’s not their fault. The spelling of names can be pretty deceptive, especially if the label is in a foreign language. So, here I have a collection of the correct pronunciation of 10 commonly mispronounced fashion brands. Full name: Gianni Versace. Again, an Italian luxury fashion company which produces upmarket Italian-made ready-to-wear and leather accessories. This Italian luxury brand was founded by Italian designers Domenico Dolce and Stefano Gabbana. It’s also abbreviated as D&G. It’s an American clothing company that primarily deals in men’s clothing. It is a French high fashion luxury goods manufacturer today specializing in leather, lifestyle accessories, home furnishings, perfumery, jewelry, watches, etc. This is a French fashion company that specializes in ready-to-wear clothes, luxury goods, and fashion accessories. It’s a French label that is highly recognized for its trademark handbags, luxury trunks, etc. An Italian jewelry and luxury goods brand that produces and markets several product lines including jewelry, watches, fragrances, accessories, etc. It is a British luxury fashion house that mainly focuses on and distributes ready-to-wear outerwear, fashion accessories, fragrances, sunglasses, and cosmetics. Christian Louboutin is a French fashion designer whose footwear has incorporated shiny, red-lacquered soles that have become his signature style. Even if many of us can’t afford these luxury brands, there is no harm in learning something new. 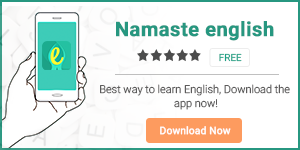 To enhance your vocabulary, download our apps Namaste English and HinKhoj. Previous articleDoes the word ‘Salary’ Comes from the word ‘Salt’?